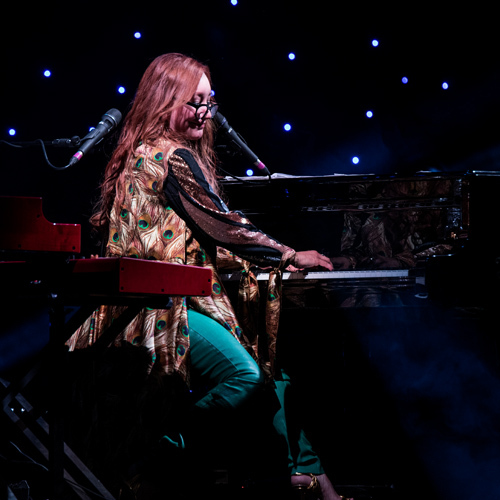 Tori Amos is an American singer-songwriter, pianist and composer. She is a classically trained musician with a mezzo-soprano vocal range. Having already begun composing instrumental pieces on piano, Amos won a full scholarship to the Peabody Institute at Johns Hopkins University at the age of five, the youngest person ever to have been admitted. She was expelled at the age of eleven for what Rolling Stone described as “musical insubordination.” Amos was the lead singer of the short-lived 1980s pop group Y Kant Tori Read before achieving her breakthrough as a solo artist in the early 1990s. Her songs focus on a broad range of topics, including sexuality, feminism, politics, and religion. Her charting singles include “Crucify”, “Silent All These Years”, “God”, “Cornflake Girl”, “Caught a Lite Sneeze”, “Professional Widow”, “Spark”, “1000 Oceans”, “Flavor”, and “A Sorta Fairytale”, her most commercially successful single in the U.S. to-date. Amos has received five MTV VMA nominations, eight Grammy nominations, and has won an Echo award for her classical work. She has released 15 studio recordings from back in 1988 to her latest 2017 album NATIVE INVADER. 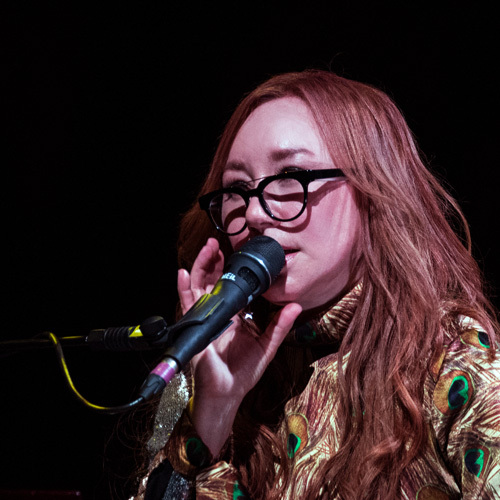 Most of the band were originally members of Juniper. 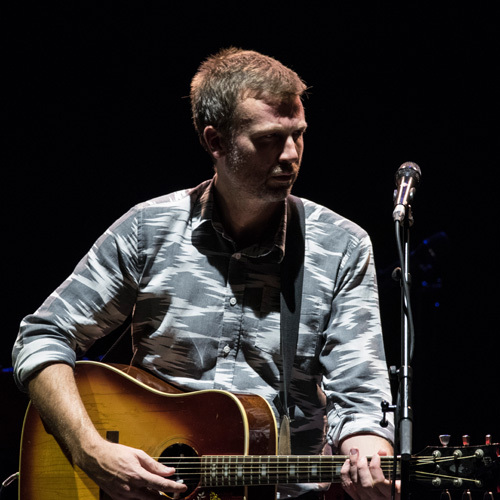 Lead singer Paul Noonan was Juniper’s drummer and Damien Rice was the lead vocalist; guitarists Dominic Philips and Brian Crosby and multi-instrumentalist David Geraghty completed the original line-up. Juniper built up a strong live following in Ireland and enjoyed chart success with EP Manna and singles Weatherman and World is Dead (the latter two through Universal Records) but never released a full album. The band became a quartet with the departure of Rice over creative differences. Rice admitted in a 2002 interview with the Sunday Tribune that he had become upset after writing a song which the record company had disliked. After a short break they reformed themselves as Bell X1 and Noonan became the new band’s frontman. The live line-up, alongside original members Crosby and Philips, came to be completed by drummer Tim O’Donovan, and trianglist Nessan Harpur. Juniper’s original contract with Polygram Ireland was moved to Island Records UK. Bell X1 released three albums while with Universal/Island; Neither Am I, Music in Mouth and Flock. Subsequent releases have come out on the band’s own BellyUp Records and its distribution partners at Warner Music, Redeye & The Orchard. Those titles are: Tour De Flock, Blue Lights on the Runway, Bloodless Coup, Field Recordings & Chop Chop. 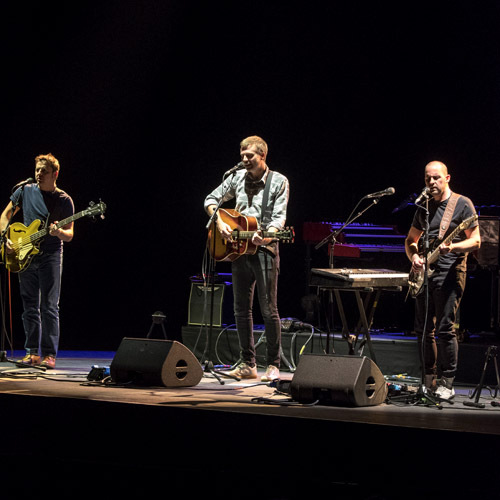 For tonight’s support slot Bell X1 revert to an acoustic display sans drums which in practice serves to showcase the band’s substantial skills in the raw. Paul Noonan is an impressive frontman whose voice exudes emotion and passion while pretty well coverage the note range. The band’s songs are beautifully written with real meaning and melodies which really connect the listener. In this acoustic guise the band sound more folk that pop-rock which for this audience is entirely appropriate. There was a nice moment when Noonan referred to the imminent arrival of Amos as “The Boss Lady will be on…” The setlist was excellent as it ran through some of the band’s best while offering a diversity of mood and pace. The Upswing, Vellcro, Take Your Sweet Time, Rocky Took A Lover, Built to Last, The End Is Nigh.